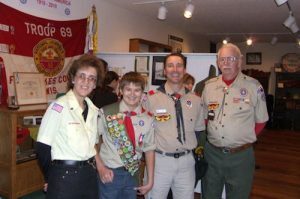 Alexander Molzahn received his Eagle Scout award at a ceremony at the OAHS museum. A book featuring one-room country schools is available at the OAHS Museum. Emigrants from New York, Vermont, Pennsylvania, and Ireland began to arrive in Dane County in the late 1830’s and early 1840’s. Some settled in what is now Fitchburg and others in the present Towns of Oregon, Rutland, Dunn, and Brooklyn. 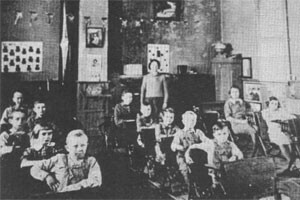 The majority of the new families had come from regions where schools had been an important part of their heritage. It was imperative, therefore, that they provide facilities for their children to receive an education. We need your help! 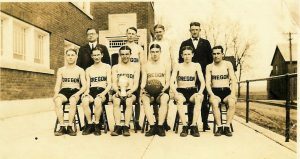 The Oregon Area Historical Society is attempting to have a complete collection of Oregon High School yearbooks and we still have many gaps. Does anyone out there have copies of yearbooks they are willing to donate to the OAHS?